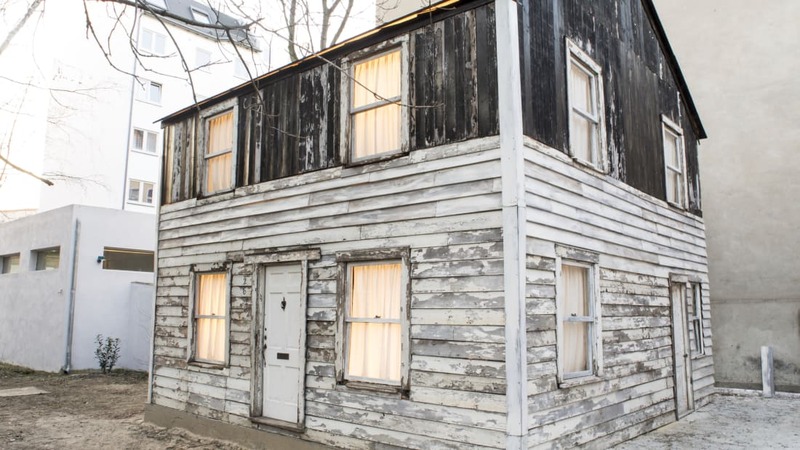 The humble wooden house that Rosa Parks moved into after fleeing to Detroit in the fallout of her historic Montgomery bus protest will be auctioned off by Guernsey’s next month. The house has been taken apart, reassembled, and displayed in different locations over the years—including destinations as far-flung as Berlin, Germany—and the structure could theoretically be rebuilt anywhere. The sale of the home will be part of Guernsey’s “African American Historic & Cultural Treasures” auction to be held July 25-26 in New York City, and proceeds from the house will benefit the Rosa McCauley Parks Heritage Foundation. The fact that the home is still standing is testament to the resilient spirit of Rosa Parks, but it wasn’t always in such great shape. The home, formerly owned by Parks’s brother, fell into disrepair over the years and was slated to be demolished by the city of Detroit. That’s when Parks’s niece, Rhea McCauley, stepped in. She bought the house for $500 and handed it over to Ryan Mendoza, an artist who promised to preserve the structure as a monument. He took it apart, transported it thousands of miles to Berlin, and rebuilt the house in his yard, where it remained on public display. Most recently, the home was displayed as part of a symposium with the Rhode Island School of Design. After Parks was arrested on December 1, 1955, for refusing to give up her bus seat to a white man, she lost her job and received a steady stream of death threats. Two years later she and her family decided to move north, and the Detroit home she shared with 17 other relatives represented “a place of love and of peace,” McCauley told the BBC. Other notable items up for sale include a Jackson Five recording contract, signed by Joe Jackson; original score sheets of music from The Supremes and The Temptations; and hundreds of movie posters documenting African Americans’ role in film. Pioneering jazz singer Ella Fitzgerald—who was born on April 25, 1917—helped revolutionize the genre. But the iconic songstress’s foray into the music industry was almost accidental, as she had planned to show off her dancing skills when she made her stage debut. Celebrate the life of the artist known as the First Lady of Song, Queen of Jazz, or just plain ol’ Lady Ella with these fascinating facts. 1. Ella Fitzgerald was a jazz fan from a young age. 2. She dabbled in criminal activities as a teenager. Fitzgerald’s childhood wasn’t an easy one. Her stepfather was reportedly abusive to her, and that abuse continued following the death of Fitzgerald’s mother in 1932. Eventually, to escape the violence, she moved to Harlem to live with her aunt. While she had been a great student when she was younger, it was following that move that her dedication to education faltered. Her grades dropped and she often skipped school. But she found other ways to fill her days, not all of them legal: According to The New York Times, she worked for a mafia numbers runner and served as a police lookout at a local brothel. Her illicit activities eventually landed her in an orphanage, followed by a state reformatory. 3. She made her stage debut at the Apollo Theater. In the early 1930s, Fitzgerald was able to make a little pocket change from the tips she made from passersby while singing on the streets of Harlem. In 1934, she finally got the chance to step onto a real (and very famous) stage when she took part in an Amateur Night at the Apollo Theater on November 21, 1934. It was her stage debut. The then-17-year-old managed to wow the crowd by channeling her inner Connee Boswell and belting out her renditions of “Judy” and “The Object of My Affection.” She won, and took home a $25 prize. Here’s the interesting part: She entered the competition as a dancer. But when she saw that she had some stiff competition in that department, she opted to sing instead. It was the first big step toward a career in music. 4. A nursery rhyme helped her get the public's attention. Not long after her successful debut at the Apollo, Fitzgerald met bandleader Chick Webb. 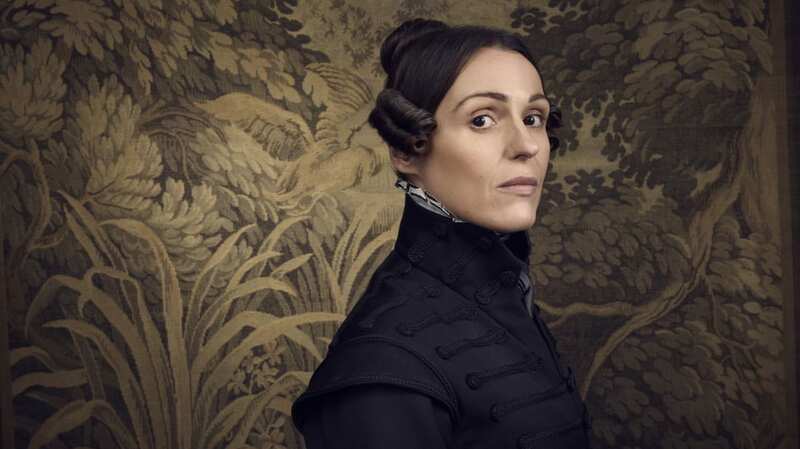 Though he was initially reluctant to hire her because of what The New York Times described as her “gawky and unkempt” appearance, her powerful voice won him over. "I thought my singing was pretty much hollering," she later said, "but Webb didn't." Her first hit was a unique adaptation of “A-Tisket, A-Tasket,” which she helped to write based on what she described as "that old drop-the-handkerchief game I played from 6 to 7 years old on up." 5. She was painfully shy. Though it certainly takes a lot of courage to get up and perform in front of the world, those who knew and worked with Fitzgerald said that she was extremely shy. 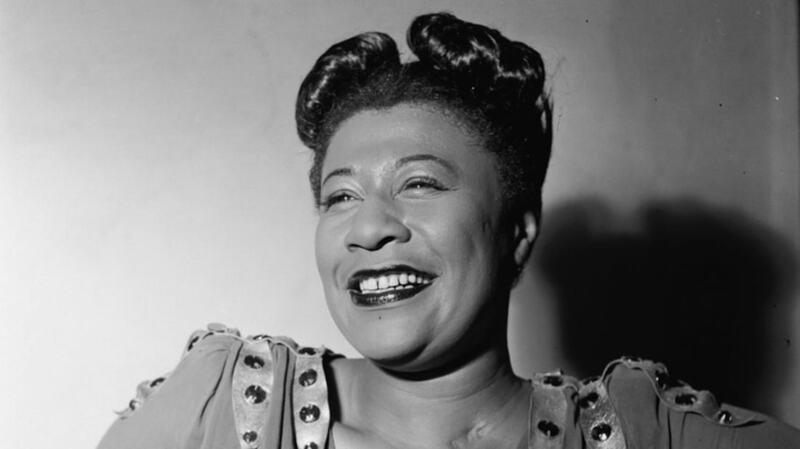 In Ella Fitzgerald: A Biography of the First Lady of Jazz , trumpeter Mario Bauzá—who played with Fitzgerald in Chick Webb’s orchestra—explained that “she didn't hang out much. When she got into the band, she was dedicated to her music … She was a lonely girl around New York, just kept herself to herself, for the gig." 6. She made her film debut in an Abbott and Costello movie. As her IMDb profile attests, Fitzgerald contributed to a number of films and television series over the years, and not just to the soundtracks. She also worked as an actress on a handful of occasions (often an actress who sings), beginning with 1942’s Ride ‘Em Cowboy, a comedy-western starring Bud Abbott and Lou Costello. 7. She got some help from Marilyn Monroe. Though it has often been reported that the club’s owner did not want to book Fitzgerald because she was black, it was later explained that his reluctance wasn’t due to Fitzgerald’s race; he apparently didn’t believe that she was “glamorous” enough for the patrons to whom he catered. 8. She was the first African American woman to win a Grammy. Among her many other accomplishments, in 1958 Fitzgerald became the first African American woman to win a Grammy Award. Actually, she won two awards that night: one for Best Jazz Performance, Soloist for Ella Fitzgerald Sings the Duke Ellington Songbook, and another for Best Female Pop Vocal Performance for Ella Fitzgerald Sings the Irving Berlin Songbook. 9. Her final performance was at Carnegie Hall. On June 27, 1991, Fitzgerald—who had, at that point, recorded more than 200 albums—performed at Carnegie Hall. It was the 26th time she had performed at the venue, and it ended up being her final performance. 10. She lost both of her legs to diabetes. In her later years, Fitzgerald suffered from a number of health problems. She was hospitalized a handful of times during the 1980s for everything from respiratory problems to exhaustion. She also suffered from diabetes, which took much of her eyesight and led to her having to have both of her legs amputated below the knee in 1993. She never fully recovered from the surgery and never performed again. She passed away at her home in Beverly Hills on June 15, 1996.